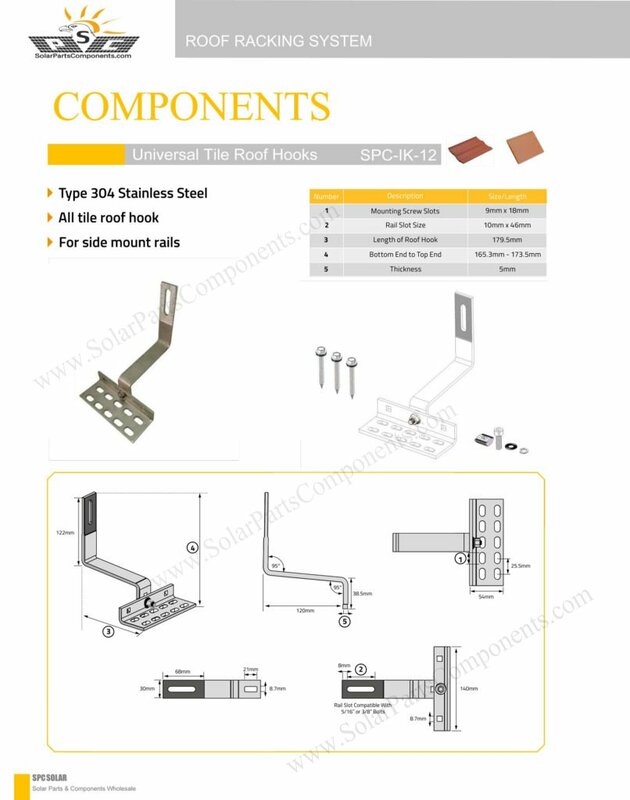 Adjustable solar roof hooks for all tiles with or without battens. 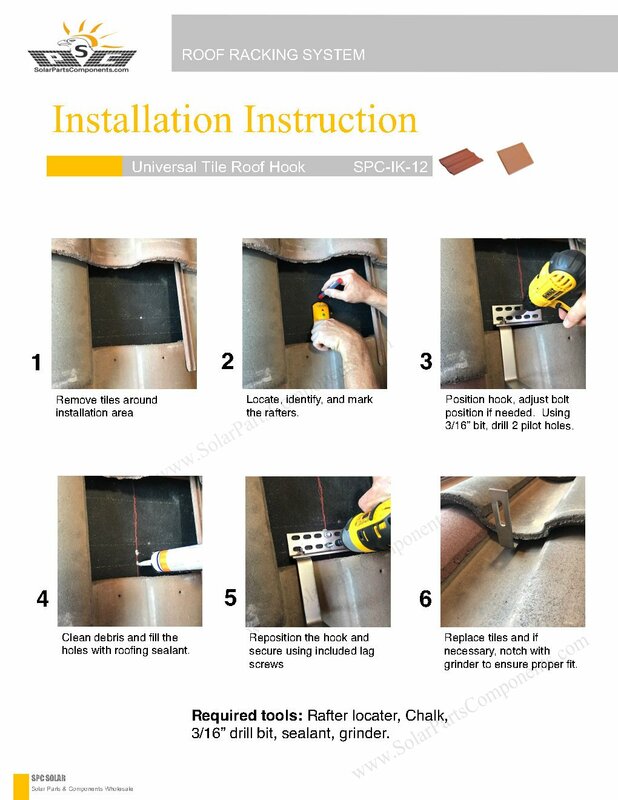 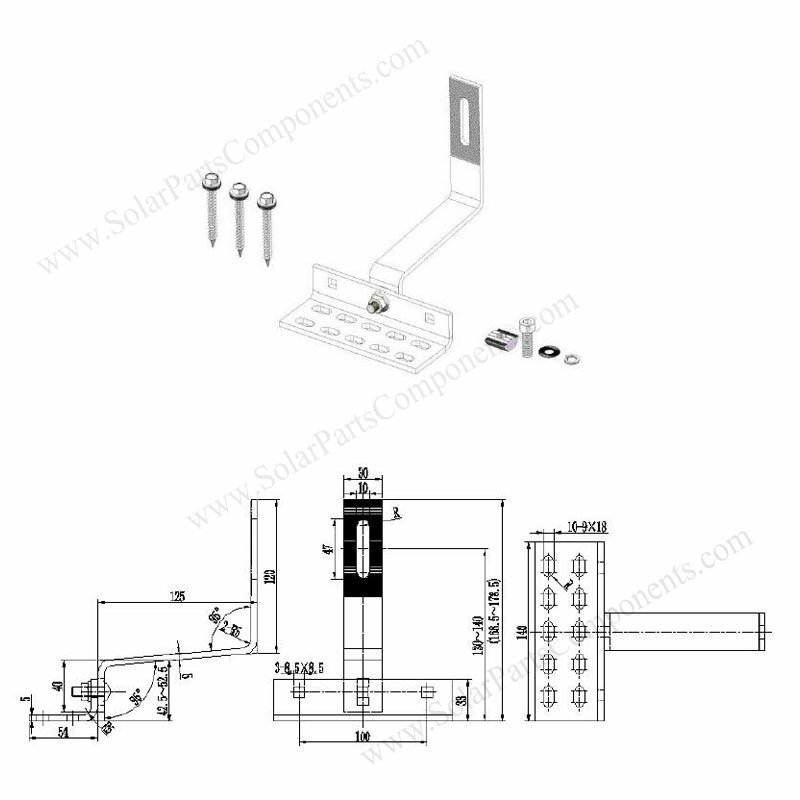 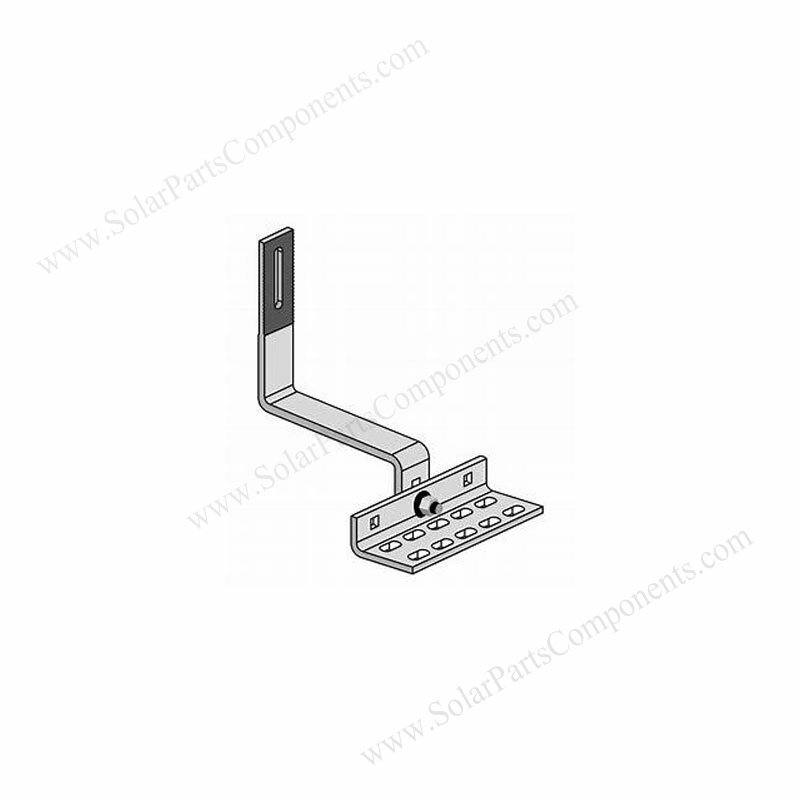 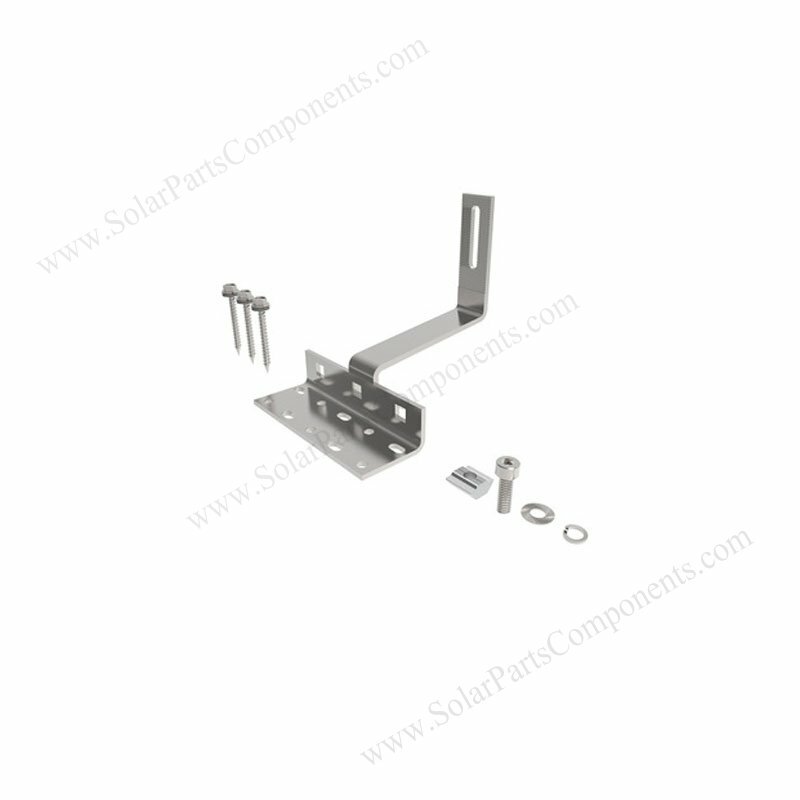 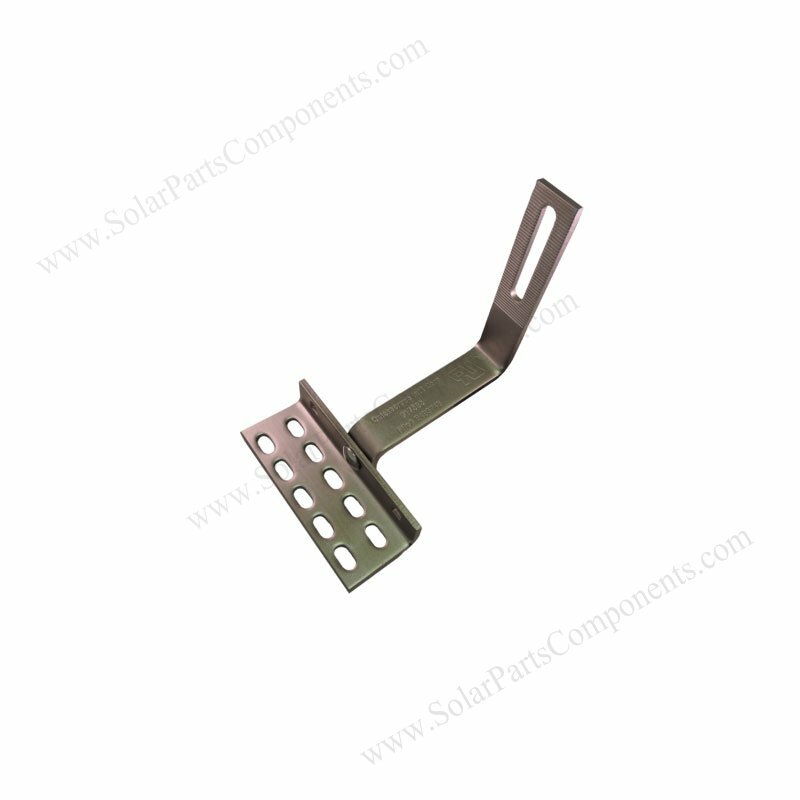 The installation is for side rail mounting – 90 degree vertical . 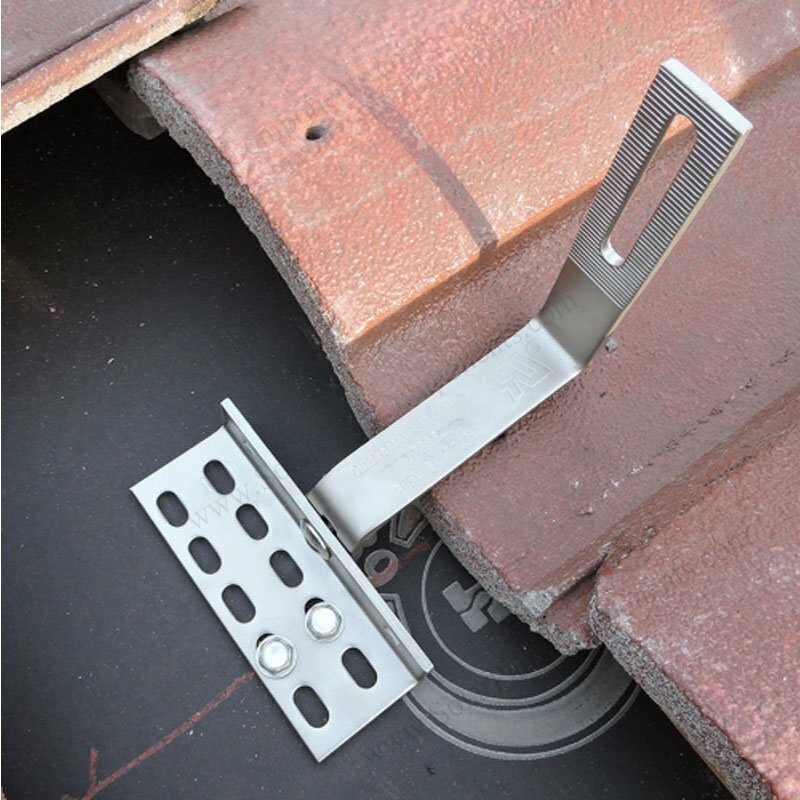 Muti-functional solar roof hook mounts for side rails can perfectly for Spanish tiles and flat tile roofing. 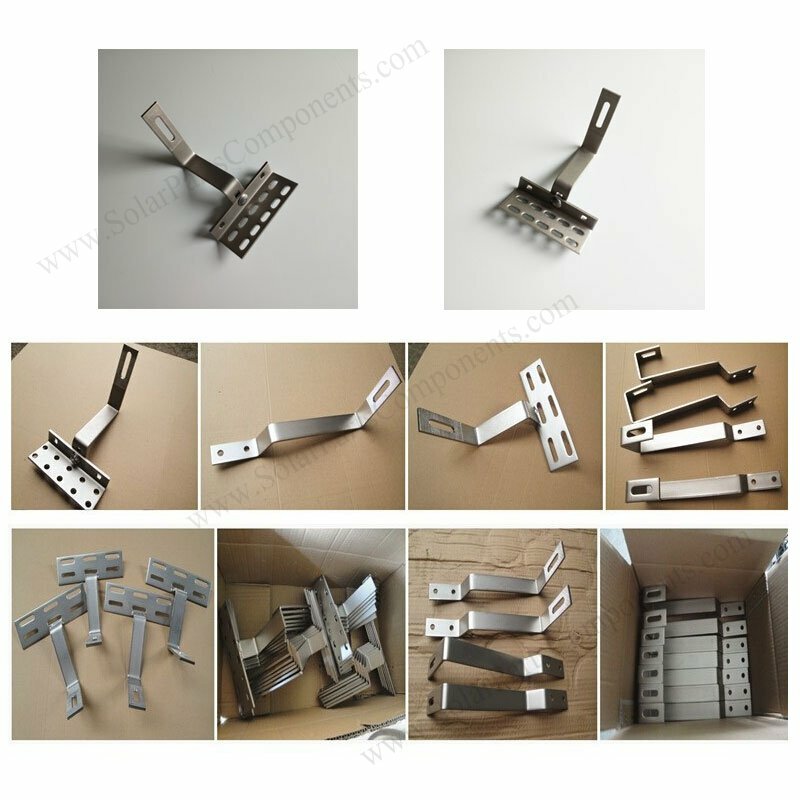 Just by loose or tighten fitting easily. 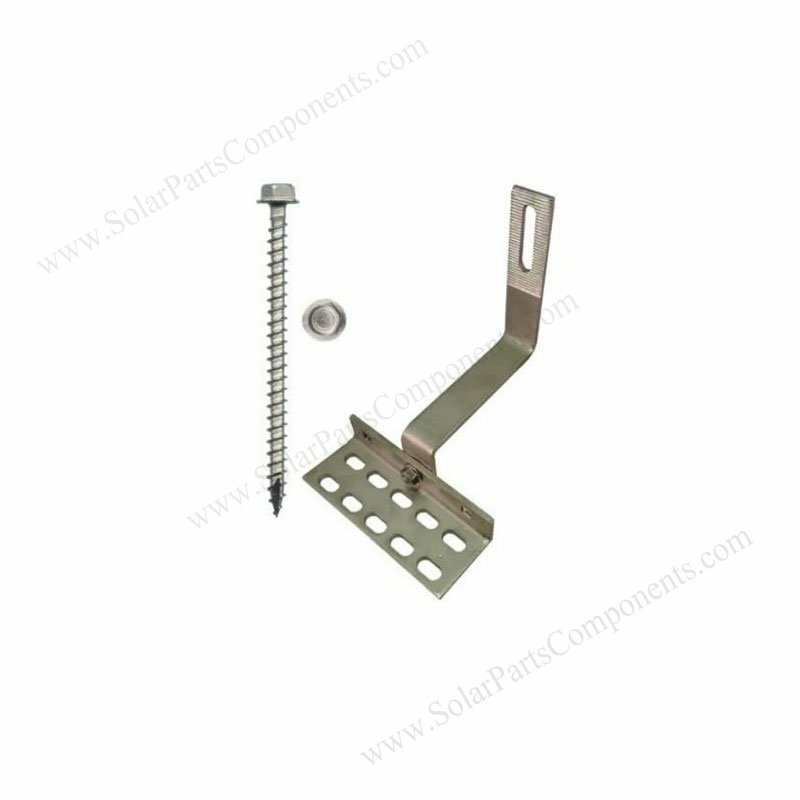 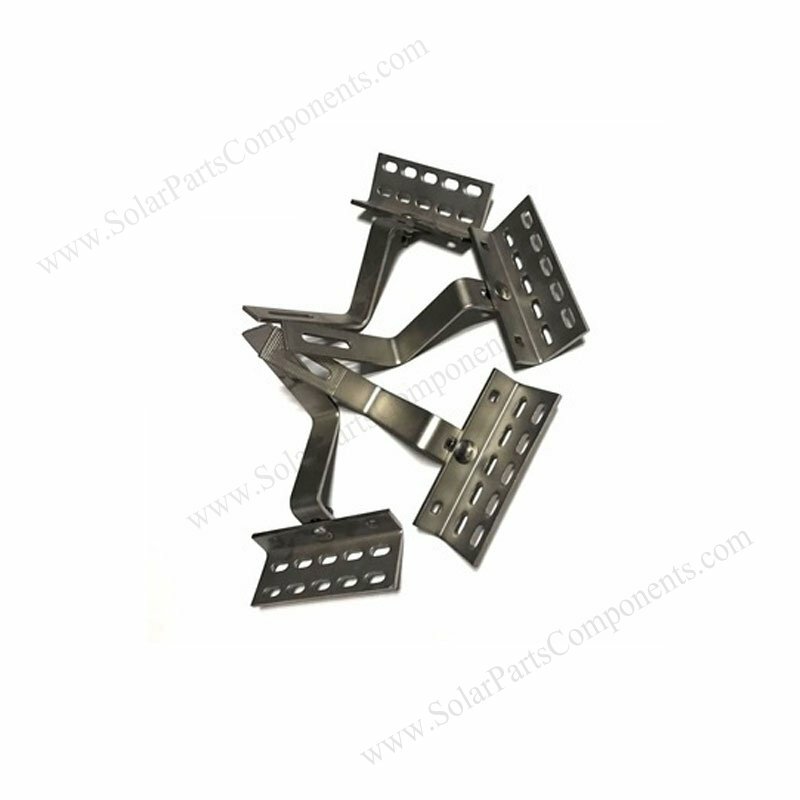 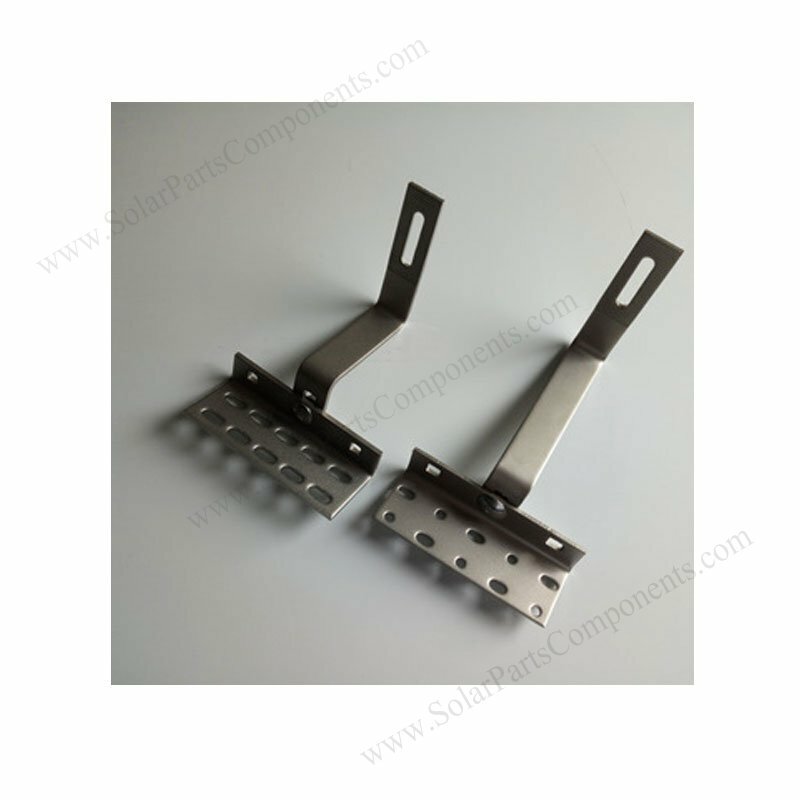 Factory direct solar tile roof hooks wholesale for universal tile roofing . 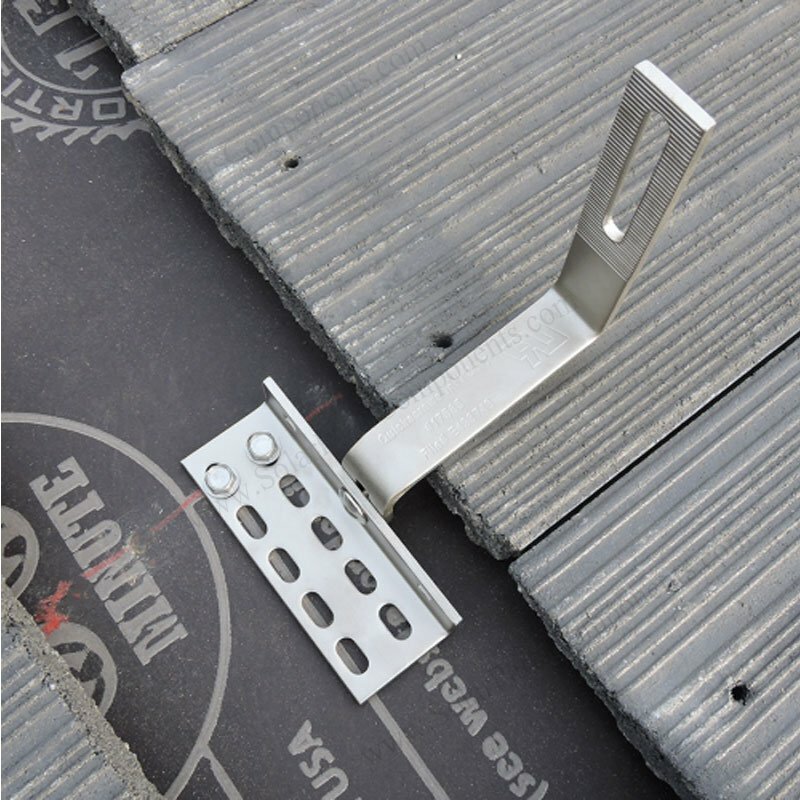 This SUS304 stainless steel bracket fits most of tile roof profiles, side mounted.